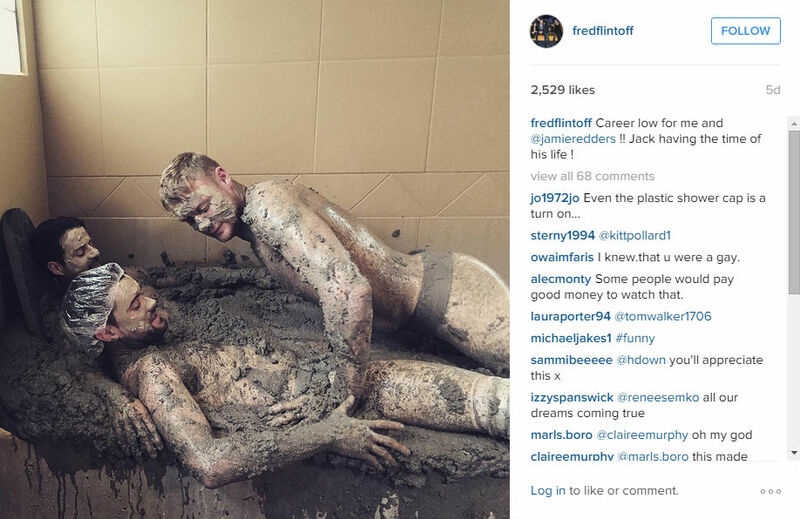 ‘Alright boys, fancy a mud bath?….Together?…In thongs?’ – a recent conversation most probably shared between Jack Whitehall, Jamie Redknapp and Freddie Flintoff. The League Of Their Own panellists have been more than enjoying a little ‘boys time’ of late as they recreate infamous scenes from films for the show, all of which has been very well documented on Freddie‘s Instagram account. And their bromance reached new uncharted territory this week, as the boys chose to don some pretty revealing jockstraps (which Jack chose to accessorize with a rather provocative shower cap) in order to share a cosy old mud bath. A snap of the moment was thankfully immortalised on Instagram by Freddie, with the caption ‘Career low for me and @jamieredders!! Jack having the time of his life!’. The image has caused a bit of a mixed reaction- it seems some aren’t into the whole shower cap and jockstrap combo. We know, we don’t understand it either- it’s a winning combo. The boys have been up to all manner of mischief, having also channelled a bit of Brokeback Mountain whilst on their adventures. 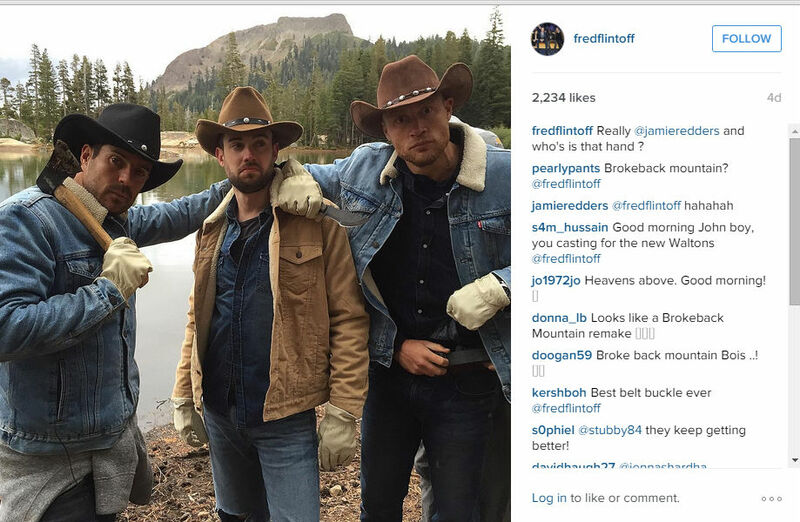 Freddie captioned one snap, ‘I think the show has gone a bit weird now #BrokebackMountain’. Was that not your first thought as you boys selected your matching jockstraps, Fred?! 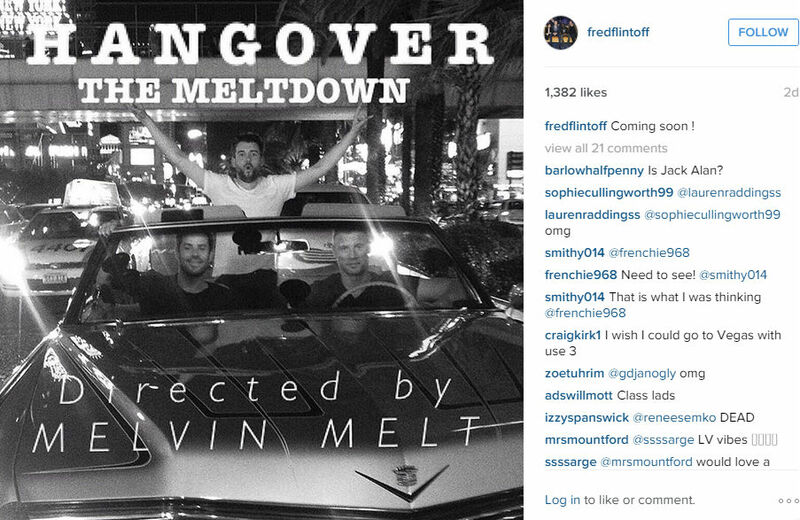 The trio also recreated The Hangover whilst in Vegas, their version of which is titled The Meltdown. Thankfully, the jockstraps were left in the suitcase for this escapade. And do you know what? We can’t flipping wait!